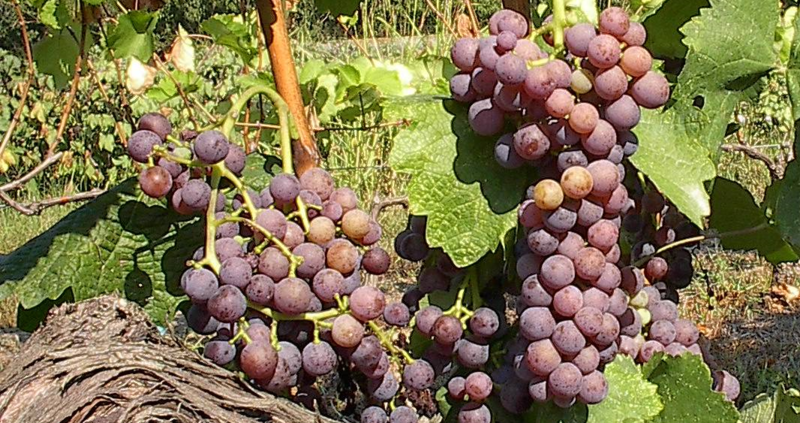 The grape variety comes from Greece, Synonyms are Fileri, Fileri Mantineias, Moschophilero and Moskhofilero. It was first mentioned in 1601 already. Especially in the vine called Fileri Mantineias there are different game types (Clones), which differ in the berry color, berry size, leaf shape and also in taste, but according to in 2005 DNA analysis are genetically identical. These include Asprofilero (white), Fileri Kokkino (red), Mavrofilero (dark) and Xanthofilero (yellow). Most of the varieties have a berry color ranging from pink to dark red. Common features are the late maturity and the yield richness. The wines made from it can be quite different, but are usually rather low in alcohol with fresh, aromatic taste. The variety is mainly in the region Macedonia and up Peloponnese in the appellation Mantinia cultivated. It is used for white wines, Róseweine, sparkling wines and also Tafeltraube . The acreage of all varieties in 2010 totaled 1,111 hectares. This page was last modified at 3 February 2018 at 08:30.